• Born: Nov. 28, 1963, in Tuxedo, N.Y.
• Groomed his baseball skills on diamonds in Suffern, N.Y., 35 miles from Manhattan, where he helped his father sell magazines at Grand Central Station on weekends. • Made the Suffern High School Mounties varsity team as a junior. • Was the Rockland County player of the year in 1982. Drafted in the 10th round by the Orioles. • Signed with North Carolina, where he was three-time all-Atlantic Coast Conference player. 1985: Selected by Oakland as the 11th overall pick in the MLB draft. 1987: Made his major-league debut July 12, at age 23. 1988: Was the American League rookie of the year, drawing a salary of $62,500. 1989: Won the World Series with the Athletics. 1994: Joined the Rockies, compiling a .375 on-base percentage in four seasons. 1998: Signed with the Braves as a free agent, earning his only all-star berth. As a member of the Braves, played his last game Oct. 1, 2000 — a loss to the Rockies. 2002-08: Served as a special assistant for the Rockies. 2009-11: Was the Regis Jesuit High School assistant baseball coach.2012: Named head coach at Regis Jesuit, leading the team to a 20-6 record. 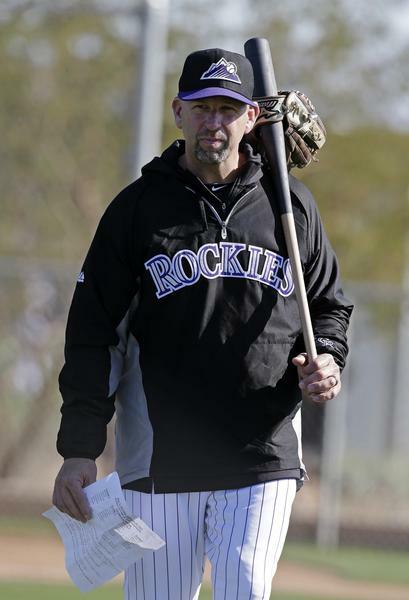 Nov. 8, 2012: Named the sixth manager in Rockies history.